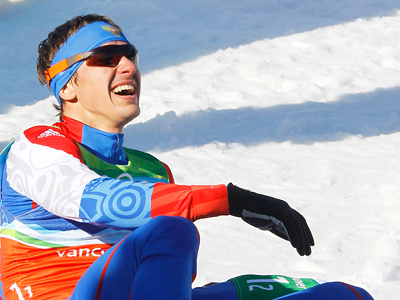 Nikolay Morilov has claimed the third gold for Russia in the Tour de Ski winning freestyle sprint in the Italian Dobbiaco, while Norway's Marit Bjoergen was the fastest in the women’s event. The Russian lunged his foot ahead to narrowly beat Norway's Petter Northug on Wednesday, with overall leader Dario Cologna of Switzerland crossing third. Cologna's overall lead over Northug was cut to 13.5 seconds with three stages remaining. “I knew I could surpass Northug today,” Morilov said after the race, adding that he does not plan to participate in the remaining Tour de Ski events. In the women’s sprint, Bjoergen edged Kikkan Randall of the United States and the Polish two-time defending champion Justyna Kowalczyk in the 1.3-kilometer freestyle sprint. 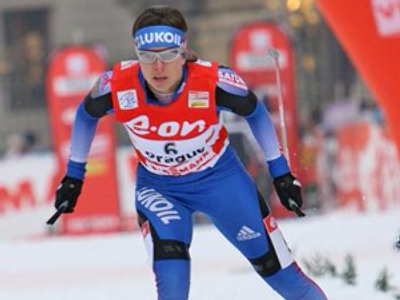 She moved within 4.8 seconds of overall leader Kowalczyk. Stage seven of the Tour will feature the men's 35-kilometer and women's 15-kilometer pursuit. The final leg on Sunday features a climb up Mount Cermis, which is otherwise used as a downhill skiing slope.